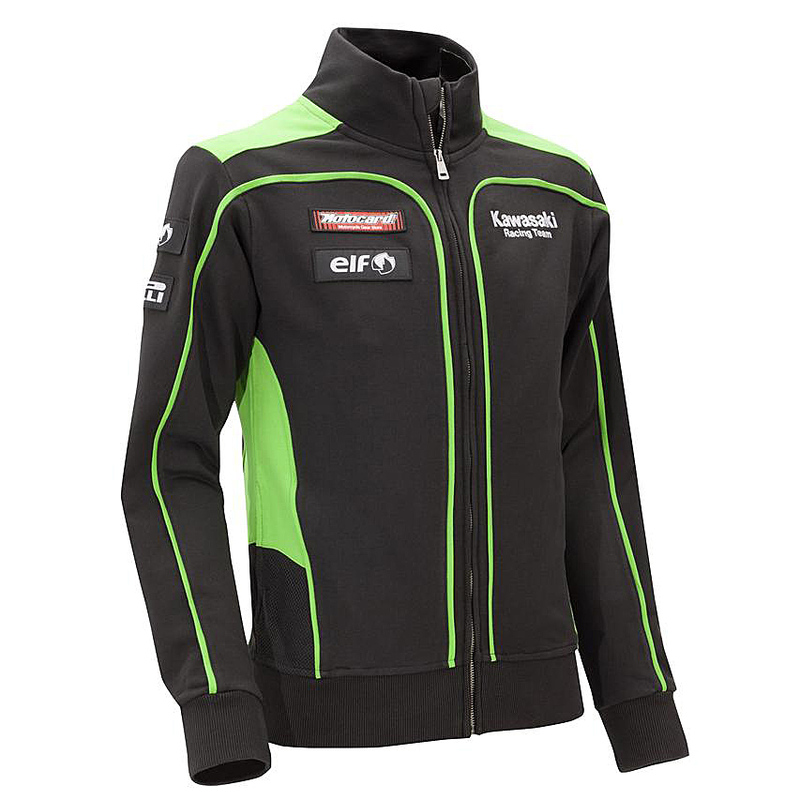 Official Kawasaki Racing Team superbike replica sweatshirt in 80% cotton and 20% polyester. 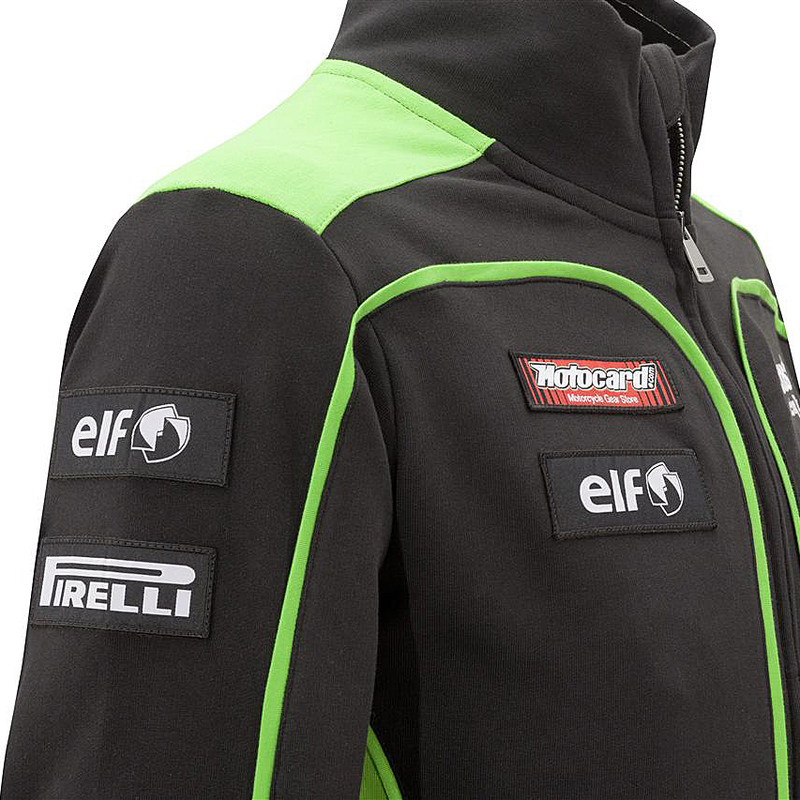 The front zipper goes all the way up to guarantee a warm neck. 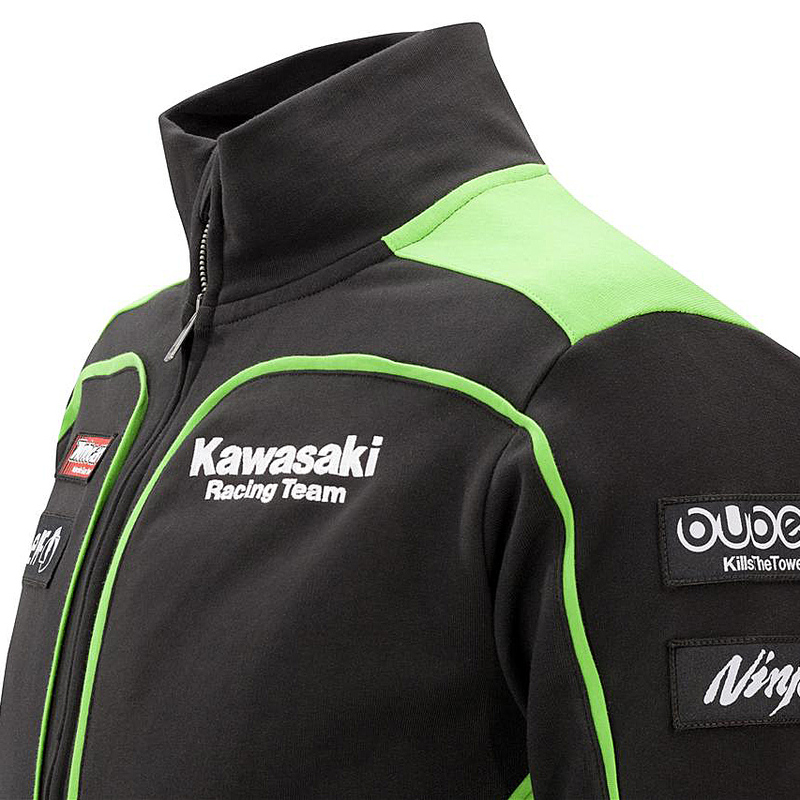 There are white embroidered Kawasaki Racing Team logos front and rear with patched sponsor logos and the mesh side panels complete the sporty image. Ribbed cuffs and side pockets add extra comfort. 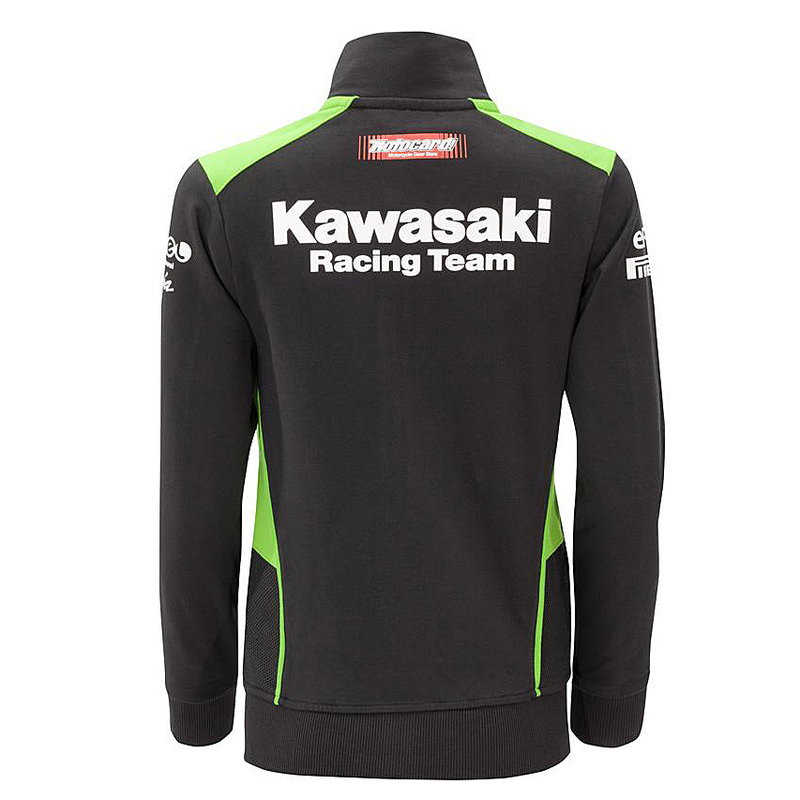 Black-on-white Kawasaki Racing Team-embossed tape lines the neck area.